With all of the battering we have taken with the recent storms, the north coast streams were spared of any heavy flooding events. 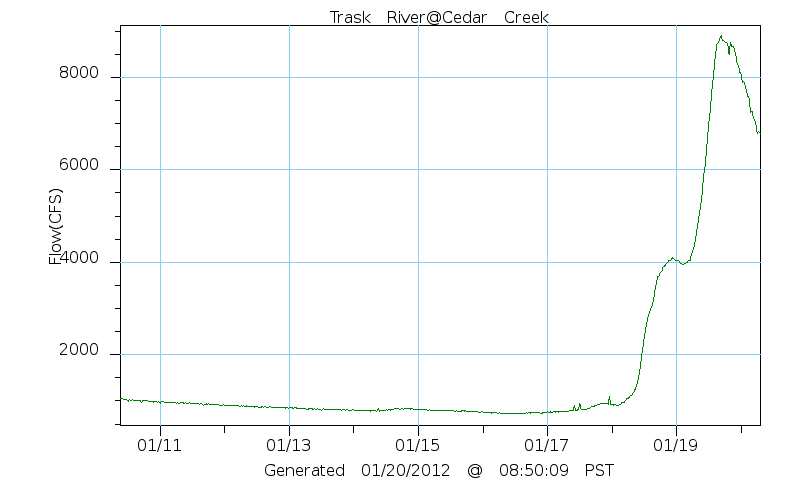 Surprisingly, water levels only spiked up to where they would be for any typical storm. 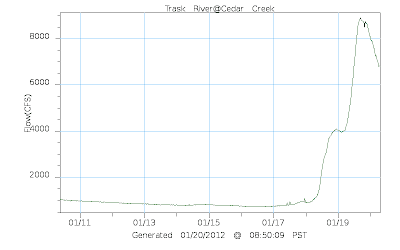 The central coast took a big hit with flooding, but rivers like the Trask and Wilson rose up, and are now on the drop. Many trees have been blown down, and lots of issues have come as a result of the past few day's weather, but at least the north coast did not meet that potential flooding that was predicted. Any of the smaller systems should be fishing well by the weekend if the precipitation doesn't fall as anything significant. There have been many downed trees, and trees can be unstable due to the supersaturated soil. Be careful out there, and watch out if you float a stream for fallen timber across channels and be aware of underwater obstructions. Otherwise enjoy the water when you get back out there!